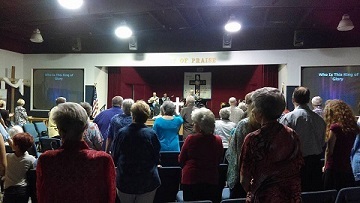 Contemporary Worship is a gathering of the body of Christ which includes powerful live music with our talented praise band, relevant media, authentic teaching and heartfelt praise. Contemporary is an informal service and casual attire is welcome. Traditional worship is a service rich in tradition and liturgy. 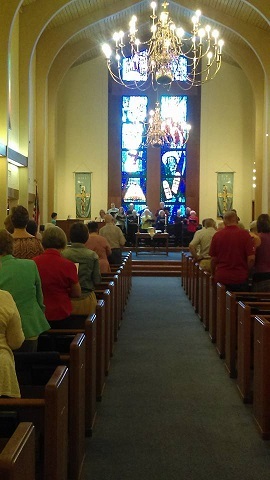 Worshipers gather each Sunday morning for services in the beautiful and historic sanctuary. 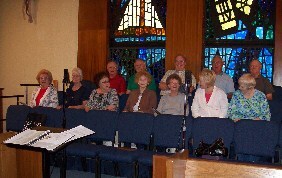 Traditional worshipers enjoy hearing the awe-inspiring choir each week, and these services often feature special music including piano music. Nursery provided for all church events and services. Occasionally, a combined Worship Service is planned. Please check "Weekly Schedule" or "Events" for upcoming combined services.